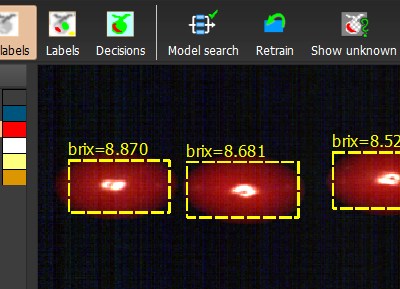 We have developed an algorithm to assess brix value (sugar content) of tomatoes remotely using hyperspectral imaging based on a data set, provided by our customer Wageningen WUR. 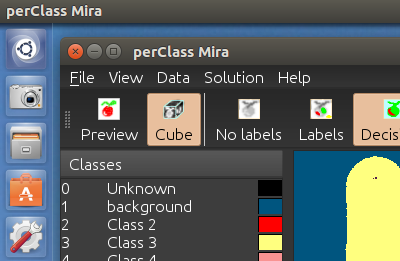 Happy to share that perClass Mira is now available on Linux platform. 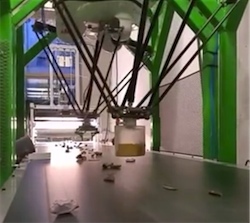 The video of our presentation at Industrial Vision days during the VISION Stuttgart trade-fair in November 2018 is now available. 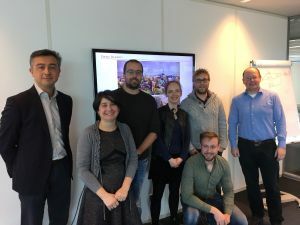 Last week we had a Practical Machine Learning training course in Eindhoven. 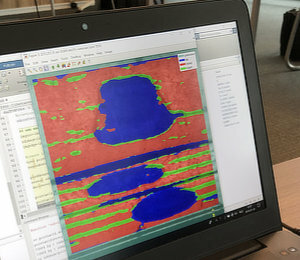 We had a nice group of professionals working on diverse applications ranging from audio processing to defect detection using hyperspectral imaging, vibration diagnostics, mechatronic system validation and video analysis. 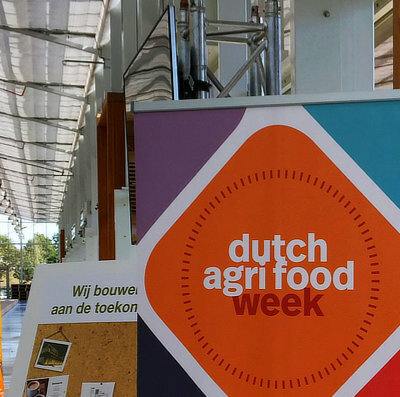 This week, we presented live demo of plastic contamination detector at Agri&Food Tech event in Den Bosch, The Netherlands. 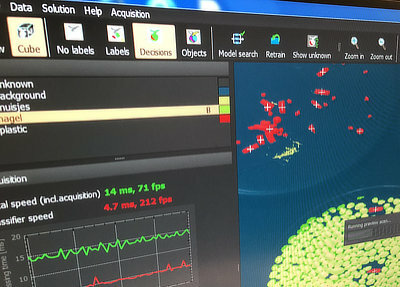 In the demo, perClass Mira was used to design and execute live detection of foreign objects in food product, invisible to naked human eye, using Specim FX17 camera. 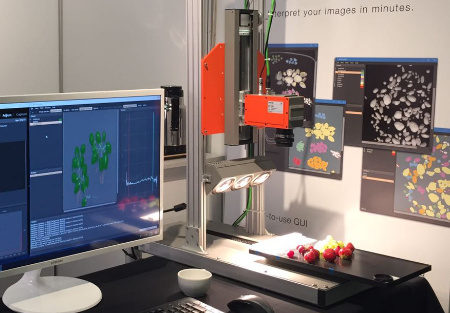 Last week, we have participated in the world's largest machine vision show in Stuttgart, Germany. perClass got a significant attention from industrial practitioners, system integrators, distributors and camera manufacturers. Last week, we gave the 19th edition of Machine Learning course for practitioners. We have discussed a broad range of applications including defect detection, geophysical applications, medical support systems and remote sensing. We gave a live demo at specialized event on Photonics for Agro&Food indutry. 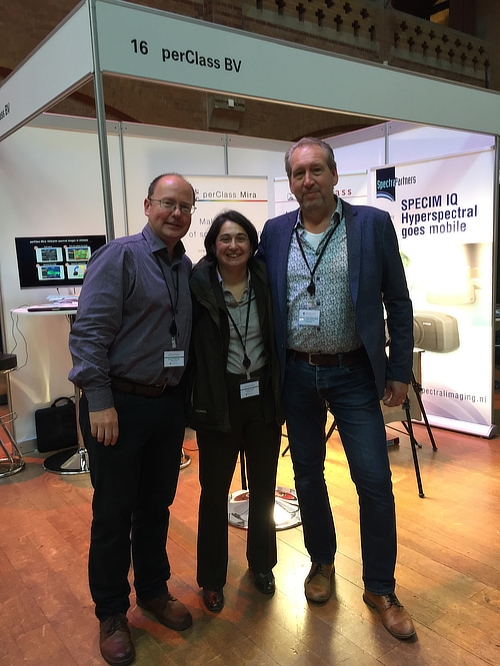 perClass sponsored SpectroExpo event, part of WHISPERS conference on hyperspectral imaging in Amsterdam. 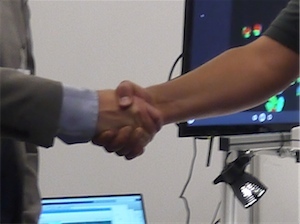 It was a great opportunity to meet both our industrial partners and users of spectral imaging systems. 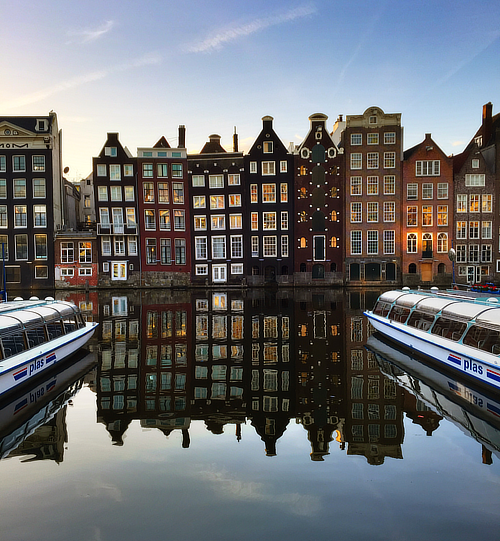 Happy to announce that SpectraPartners became a distributor of perClass software in Benelux! 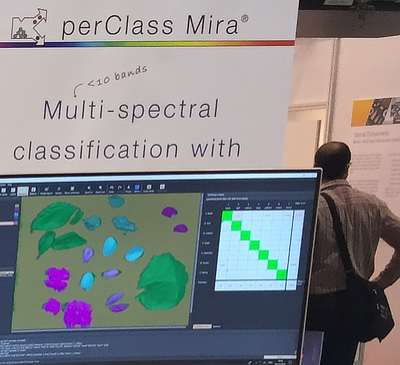 New release of perClass Mira brings many enhancements such as confusion matrix visualization of error structure, interactive performance fine-tuning, and RGB preview mode. 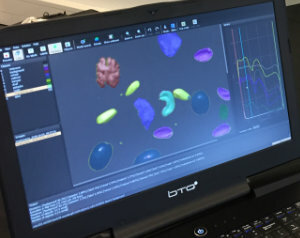 Happy to share a publication made by Wageningen WUR researchers who used perClass Mira together with Specim I camera to validate authenticity of bananas. Together with SpectraPartners, distributor of Specim spectral cameras, we have given a joint demo at Wageningen WUR Summerschool of plant phenotyping. 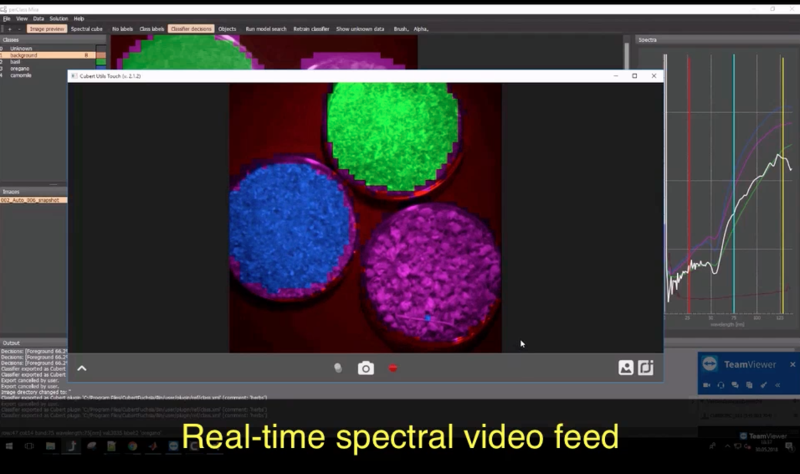 Participants could see spectral image acquisition and interpretation in minutes without programming. 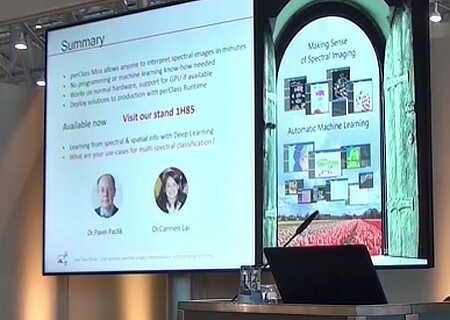 The video of our presentation at Chii 2018 hyperspectral workshop in Graz is now available. We are happy to announce our Machine Learning autumn course. You are welcome to bring your own data for the practicum. 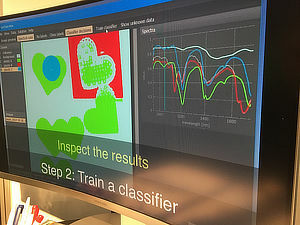 The course includes hands-on exercises on Deep Learning. Would you like to join? Register now. 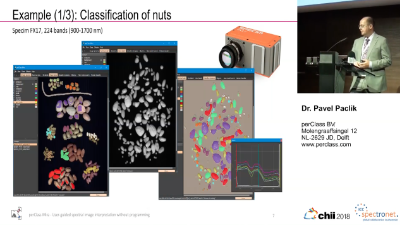 Creating classification solutions for hyperspectral images is now only a matter of few minutes. In this short video Cubert illustrates the workflow for spices classification. 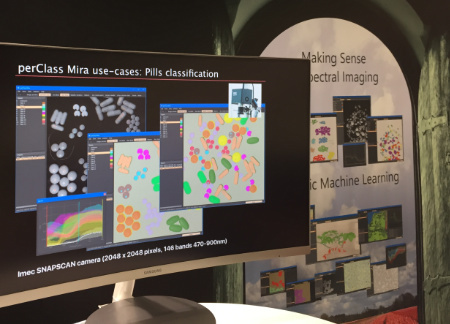 In perClass Mira the user can easily create a classification solution. 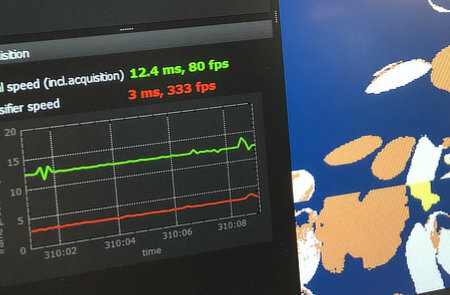 Cubert has integrated perClass Runtime in their camera acquisition software. 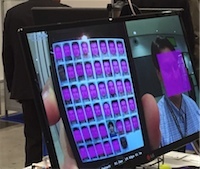 In this way the classification model can be applied directly to the live camera feed. 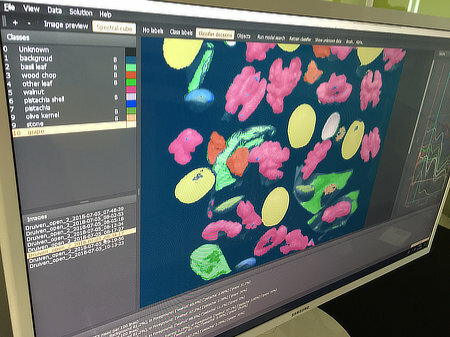 We have participated in the Chii 2018 hyperspectral imaging workshop in Graz, Austria. Happy to share huge amount of interest in our perClass Mira user interface. 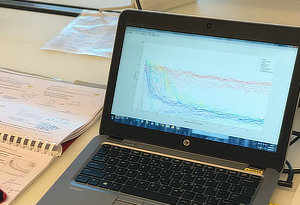 We have welcome a diverse group of researchers working on applications in industrial quality control, agro & food robotics, traffic and maintenance, brain computer interfaces and multimedia content analysis. 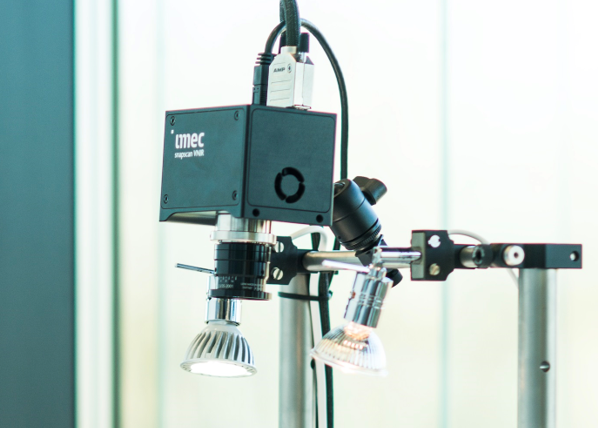 We’re happy to announce a partnership with Cubert GmbH a pioneer in real-time spectral imaging. 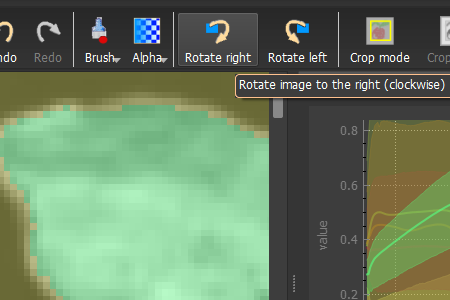 Via this partnership, perClass comes tightly integrated into Cubert software and directly useful for all Cubert customers. I comes as a part of standard Cubert Utilities installer. 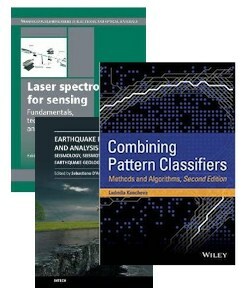 We’re happy to share that perClass is recommended by authors of several recent books. Several different areas are covered including laser spectroscopy, analysis of seismic events and classifier fusion.